If the on-again, off-again dust-up between Donald Trump and Fox News is going to be remembered for anything, it may be the utter bewilderment and confusion among the FNC critics, who have been left stumbling, reversing course on a dime, and scrambling for relevancy as events confound their expectations. Consider our friend Gabriel Sherman. When we last ran into him he had done an about face regarding Roger Ailes (he’s promoting Trump…nope, he’s really trying to destroy Trump), a turn of events that seems to have blindsided him. 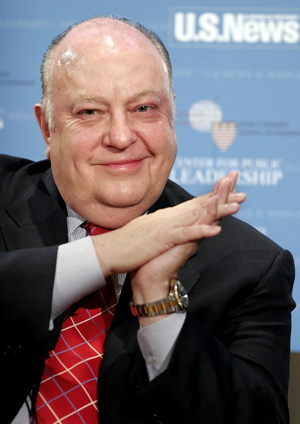 He took to the airwaves to make the peculiar claim that Roger Ailes, the most successful cable news executive in American history, doesn’t really understand his audience. Presumably this was predicated on the Trump-fomented crusade against Fox and Megyn Kelly, complete with astroturfed boycott campaigns. You know there was some talk before her most recent contract that she was flirting with CNN to kind of jump from Fox to CNN. I think she wants to leave all options on the table and if she gets down in the weeds and really slugs it out with Trump that would hurt her brand. The Cable Gamer is shaking her head over this one. Does he really believe CNN would recoil at someone who publicly disagreed with Trump? More like the other way around: to Jeff Zucker that’s a feature, not a bug. And why exactly would Megyn Kelly leave the top-rated cable news channel and join CNN? To replicate the smashing career moves of Paula Zahn and Kiran Chetry? Megyn Kelly eyeing move to Fox News’ rival? Meanwhile at MSNBC, where they claim to air a newscast at 5:00 pm, a discussion of Trump featured guest lefty John Fugelsang and impartial news anchor Michael Eric Dyson (yes that’s as preposterous as it sounds, but it’s what MSNBC is feeding its lemmings). Fugelsang insisted that Trumpbots are abandoning Fox News due to outrage over Megyn Kelly. But wait—her ratings are stronger than ever. No it doesn’t make sense, but it’s MSNBC daytime. What do you want anyhow?